John Robert Smythe Fort Erie OPP. On Dec. 9th, Constable John Smythe and Canada Customs Officer Charles Muir were on their way to Port Colborne from Fort Erie, to conduct a liquor seizure, using Officer Muir’s touring car driven by Constable Smythe. The car lost control on loose gravel and barrel rolled twice. Officer Muir was not injured in the accident but Constable Smythe was found deceased underneath the overturned vehicle. After a post-mortem examination the Coroner’s Jury declared his cause of death was from shock. Constable Smythe was well known on both sides of the international border by law breakers, for his diligence in enforcement of the Temperance Act. Numerous threatening letters had been received from both New York State and Ontario residents. Due to this, a Criminal Investigation Bureau (CIB) Inspector was dispatched from OPP General Headquarters to investigate the circumstances of the accident. John Smythe was 28 years of age and single at the time of his death. He had been with the Ontario Provincial Police for two years. Born in Belfast Ireland, he served in the Irish Guards in WWI where he had been wounded four times. Following the war he immigrated to Canada. Highway Traffic Officer Almer Frederick Hamilton Wilson Department of Highways Leamington. Highway Traffic Officer Wilson was on patrol on Hwy #3 near the village of Maidstone, when the rear tire of his new Department of Highways motorcycle blew out causing the bike to cross into the oncoming path of a car. Officer Wilson was thrown from the bike striking his head into the side of the car then was thrown onto the pavement striking his head on the roadway. Two doctors who were traveling on the same road came to his immediate aid and he was transported to hospital in Windsor, where he passed away from his injuries. Almer Wilson had been with the Provincial Highway Traffic Department for 2.5 months, and was married with no children, he was 27 years of age at the time of his death. He was born in South Bend Indiana USA, and immigrated to Canada as a child with his Canadian parents. 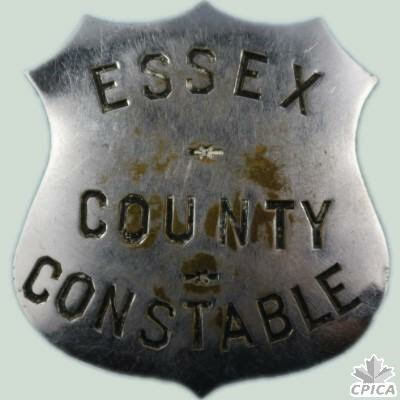 High County Constable Alfred Fabien Hippolyte Campeau of Essex County. On December 12, 1912, High Constable Campeau had been working in the Ruscom area. He arrived at the train station to catch the Windsor bound express, arriving just as it was leaving the station. He ran for the moving train and jumped to board it but slipped and fell under the wheels severely injuring his left leg. He was placed on the train and taken into Windsor to Hotel Dieu Hospital. Surgery took place but he passed away shortly after. His policing experience covered 28 years. Alfred Campeau started his policing career with the Windsor Police on September 15, 1884. In 1889, he was appointed as a Provincial Officer by the Province of Ontario. 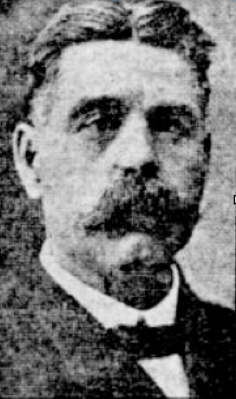 In 1896, he was appointed Chief of Police in the Detroit River area. 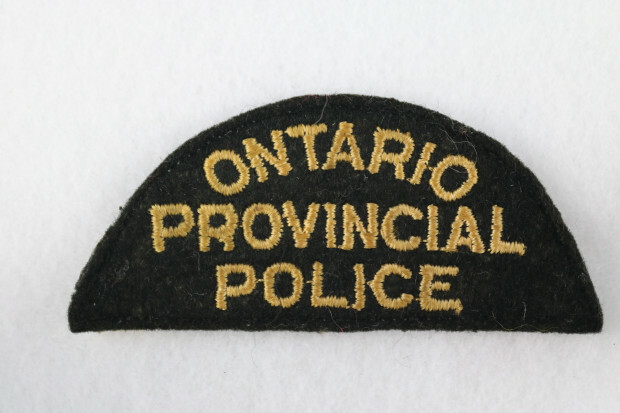 In 1909, he was one of the first officers appointed to the newly formed Ontario Provincial Police (OPP). In 1910, officers with the OPP were issued uniforms however Constable Campeau refused to wear the uniform and was released from the Force. He was then named the High County Constable for Essex County. Constable Daniel Craig of Chesterville. 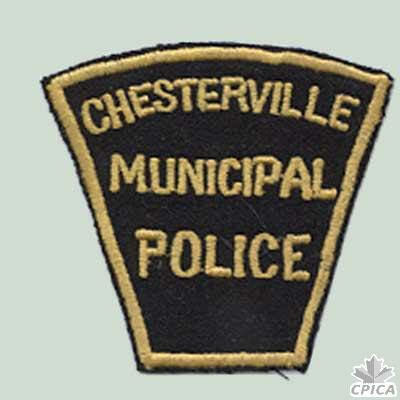 During the evening of June 29, 1932, a drunken youth had been causing a disturbance within the village of Chesterville. The young man was yelling and cursing at a woman who was sitting on her front porch. Her husband took hold of the trouble maker and escorted him across town to the Town Hall to be dealt with by Constable Daniel Craig. Before the youth could be turned over to Constable Craig, he broke free and escaped with the gentleman and now others in pursuit. Some blocks away he was captured again and brought back to the Town Hall where the jail was located. Constable Craig took over the arrest and wrestled the young man through the building and into the cell, where he was locked up. Constable Craig then went to leave the building but suddenly collapsed in the door way. Two local doctors were quickly summonsed and attended to Constable Craig but unfortunately he had died of a heart attack within minutes. 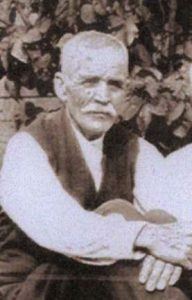 Daniel was 59 years of age, married and had been the Town Constable for 4 years at the time of his death. Constable John Ferguson of Exeter OPP. On October 20, 1949, Constable John Ferguson and his partner travelled to Grand Bend at the request of the Grand Bend Police to assist with arresting a suspected mental health patient. It was reported that the suspect was wandering around the village carrying a pipe wrench. During the arrest there was a violent struggle with the suspect, but he was subdued, arrested and placed into the back seat of the cruiser. Constable Ferguson got in beside the suspect. His partner and a Grand Bend officer sat in the front seats. Before the cruiser could leave that location, Constable Ferguson suffered a heart attack and died moments later in the cruiser. John Ferguson was 55 years of age and had been policing for 27 years. 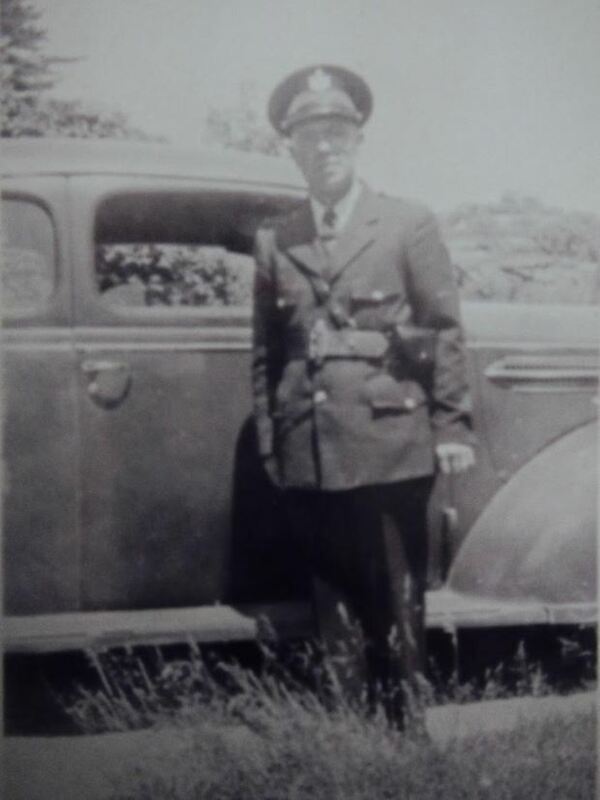 He began as a County Constable in Huron County, then joined the Ontario Provincial Police on June 1, 1947. He was married and had a son at the time of his death. County Constable Mont Alexander Wood of Lennox And Addington. In the early morning hours of December 1, 1951, Constable Mont Wood had stopped to assist a stranded trucker north of the village of Northbrook on Highway 41. While waiting for a tow truck to arrive, he saw headlights approaching through the heavy fog. Constable Wood stepped out from behind his car with the intention to close the vehicles door, when he was struck by the approaching car. Constable Wood was hurled some 20 feet through the air and landed on the ground seriously injured. Constable Gordon Stout of the Northbrook Ontario Provincial Police detachment arrived and carried the gravely injured officer into his cruiser and rushed him to the Belleville hospital. His injuries proved fatal and he died shortly after arriving. Mont Wood was 59 years of age, a veteran of World War I and was married with 5 children at the time of his death. He had been the County Constable in Lennox and Addington for 29 years. County Constable John Morrison, Russell County. On the afternoon of Friday June 25th, 1880, County Constable John Morrison was tending to a horse he owned and kept at a farm two miles from his own home near the village of Bearbrook in Russell County, when two men arrived at the farm demanding to speak with Morrison. One man challenged Morrison to “arrest him now”, but the Constable told them to get on their way, as he has no warrant for them. This statement relates back to early March when the Constable received a warrant from the local Magistrate to arrest one of the men for the domestic beating of his spouse. 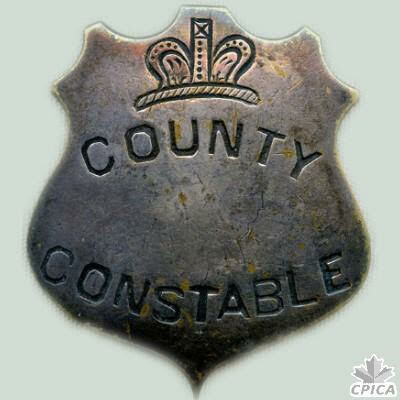 Constable Morrison attended the residence to make an arrest of the husband, but after a scuffle the suspect got away and remained on the loose and whereabouts unknown until he showed up to challenge the officer. The two men grabbed the officer and the suspect shot him in the side then fled once again. Constable Morrison was able to walk to the house where the farmer contacted the local doctor, who declared the wound fatal. Constable Morrison died 20 hours later. One suspect gave himself up and was sentenced to jail time. The prime suspect fled and is believed to have made it to Brazil. 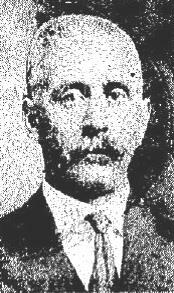 Constable Morrison was married and had three children at the time of his death. County Constable William Lorenzo Pickard, Kent County. In the early hours of the morning of April 9th, Constable Pickard was called by residents who heard breaking glass. Constable Pickard arrived to find streetlights broken out to darken the area near the William Bambridge store in the Village of Thamesville. He found that three men had broken into the Bambridge store. Attempting to make the arrest of the “lookout” who was standing outside of the store, the Constable fired warning shots, which caused the suspect to take flight, with two others from inside the store on the run as well. Constable Pickard followed up the street when one suspect fired two shots, one hitting the Constable in the foot. He was taken to hospital where it was found the bullet shattered bones in his foot. He was operated on, but complications set in and he passed away on April 17th, while in Chatham hospital. Constable Pickard as 68 years of age, married with three children at the time of his death. County Constable Samuel James Vanstone, Ontario County. While at home, Constable Vanstone witnessed a motor vehicle accident outside of his house. In a heavy rainstorm, he rushed outside to investigate and extricate the people trapped under the vehicle. As he crossed the road, his umbrella obscured the fact that the power lines were hanging down from the damaged pole and came into contact with his umbrella, electrocuting him to death. Constable Vanstone was 64 years of age, married with four children at the time of his death and was also a part-time Special Constable with the Whitby Township Police.